It’s broadly agreed blockchain is the future of both the internet and business in general. InsurEco System and BevSpot are the latest to utilize this platform with the recent announcement they are collaborating on the execution of a ‘Pay-As-You-Go’ Liquor Liability program. San Diego, CA - May 18, 2018 - Blockchain is being used in more and more innovative and industry specific ways every day. 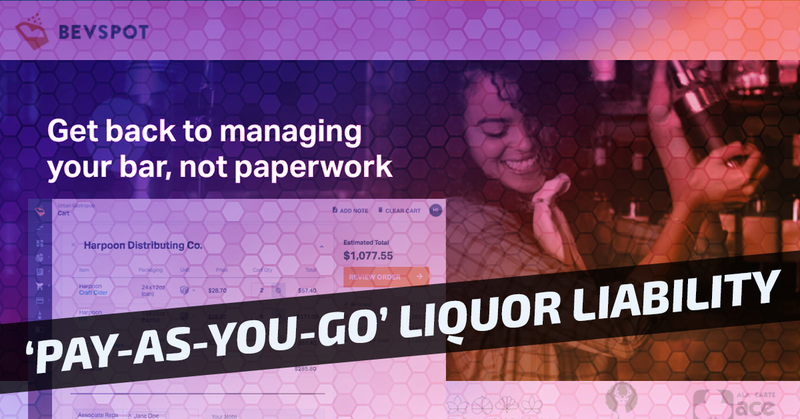 Now, innovators insurEco System and BevSpot add a breakthrough ‘Pay As You Go’ (PAYGO) liquor liability program to the list. This first-of-a-kind program will be available to the hospitality industry in 50 states and accessible by independent retail brokers nationwide. BevSpot & insurEco System are collaborating on an integration to feed sales data from the insured’s POS into a real-time premium calculation at the desired frequency (daily, weekly, monthly). This will allow for a more accurate prediction of exposure in a trusted blockchain environment. The program will be administered through the raterSpot “Quote, Bind, Issue” system. White-Labeling and rating APIs will be made available for easy integration into existing sales and technical workflows. Coverage will be provided by a team of forward-thinking carriers specializing in the hospitality industry and liquor liability. BevSpot builds easy-to-use online technology solutions that help bolster efficiency and reveal actionable insights for the global food and beverage industry, with a potential of dramatically improving performance and cutting costs for users. These factors can mean the difference between failure and success for a business in an increasingly competitive marketplace. For questions about becoming a coverage provider, broker appointments, or about BevSpot Pro, please visit the respective websites below or contact your insurEco System Concierge.